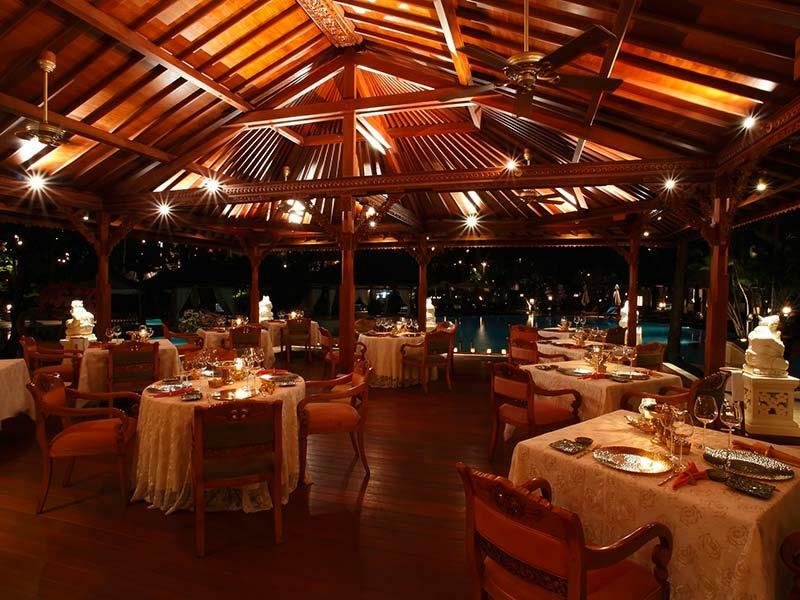 Paon Bali Restaurant is one of the best restaurants in Nusa Dua for trying Balinese and Indonesian food. 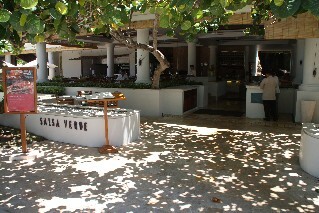 Located within the Hilton Bali Resort Hotel Nusa Dua. A family friendly restaurant, high class restaurant with great food and service. 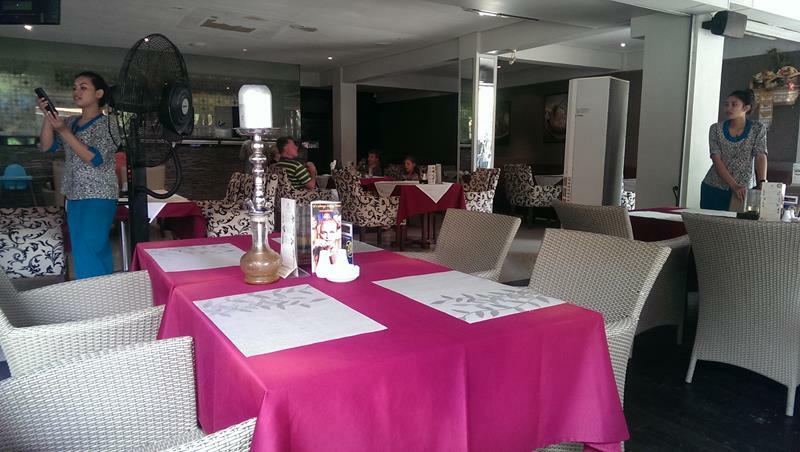 The restaurant also has 2 pool tables inside for entertainment during a leisurely lunch or dinner. 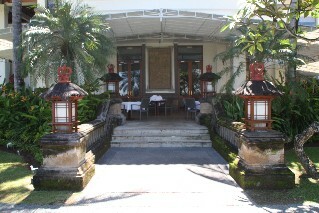 A Balinese Restaurant specialising in Bebek Garing - Balinese Crispy Duck. Located within the Bali Collection Shopping Mall in Nusa Dua. 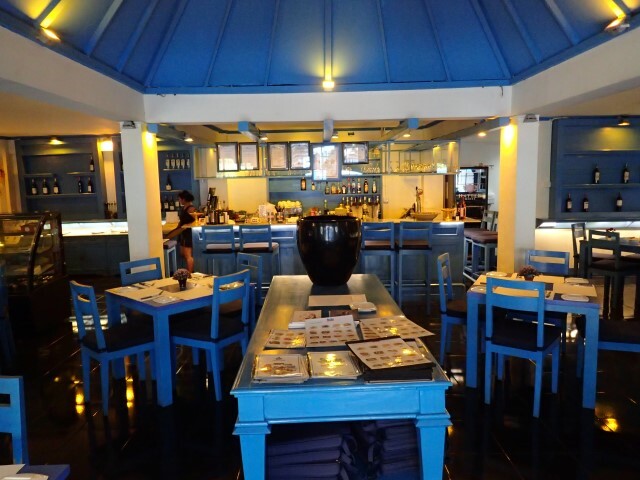 Located in the Bali Collection Shopping Mall in Nusa Dua, Ole Ole Mediterranean is a Spanish restaurna serving up other specialty food from the Mediterranean including dishes from Greece and Italy. 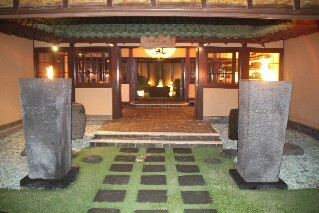 Located in the Grand Hyatt Hotel this is one of the best Japanese restaurants in Nusa Dua. 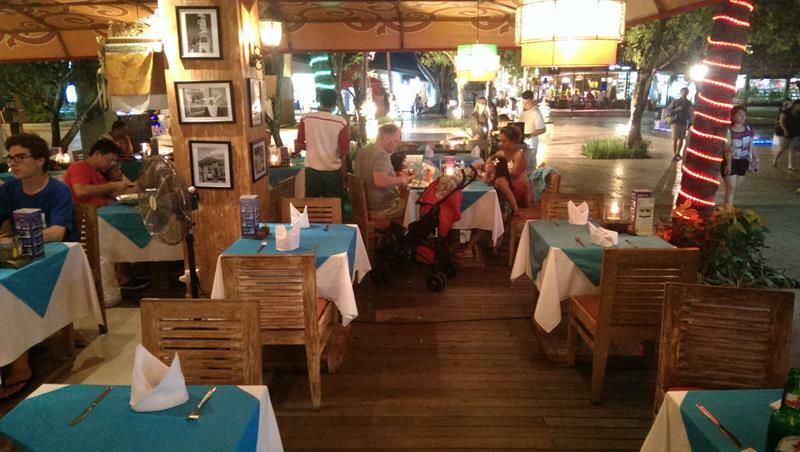 A traditional Italian Restaurant located within the Bali Collection Shopping Mall in Nusa Dua. Serving Pizza, pasta, steak and seafood. 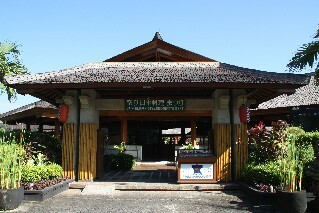 A Japanese BBQ restaurant located on the Bypass as you first enter Nusa Dua from the Toll road. Cook your own meat at your table. Delicious. Sama Sama offers free pick up and drop off back to your hotel in Nusa Dua and Tanjung Benoa. Just give them a call to make a reservation and arrange the pickup. 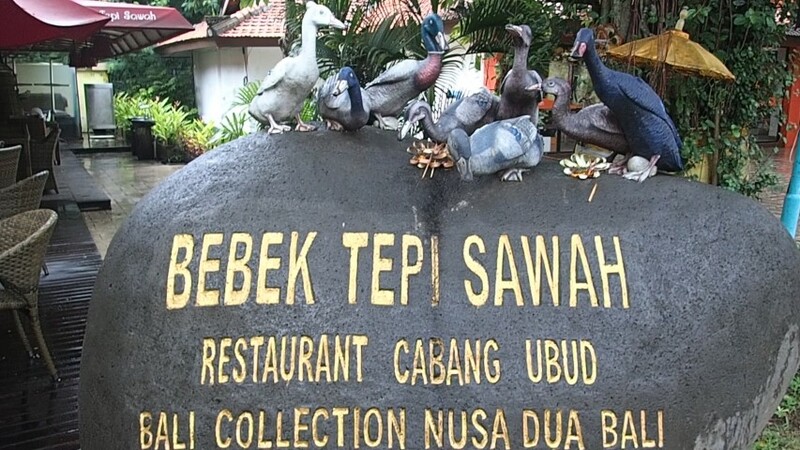 Located within the Bali Collection Shopping Mall in Nusa Dua, Bebek Tepi Sawah is a famous Balinese restaurant specialising in Balinese food including their delicious 'Bebek Betutu' - Tepi Sawah Cripsy or Grilled Duck. 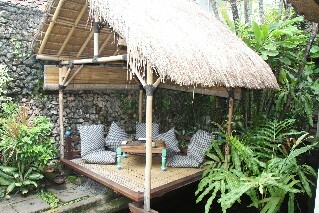 Bebek Tepi Sawak started in 1999 in Ubud and have branched out with restarants now in Nusa Dua, Kuta, Jakarta and Yogyakarta. The best coffee shop in Nusa Dua, Secret Cafe is a not so secret cafe located in the Nusa Dua village town centre on the road leading up to the Uluwatu headlands. Open from 8am - 6pm everyday except for Wednesday (Closed Wednesday). Serve a great range of organic and hydroponic salads, freshly baked cakes and meals like Mie Gorang and Grilled fish. 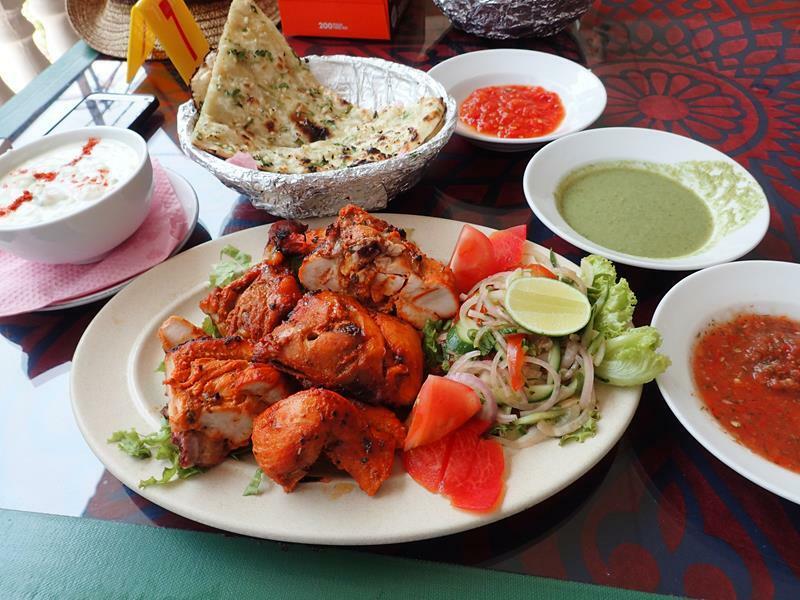 Traditional Indian restaurant serving curries and tandoori. Located on the Jl. ByPass Ngurah Rai No.123 when you first enter Nusa Dua. 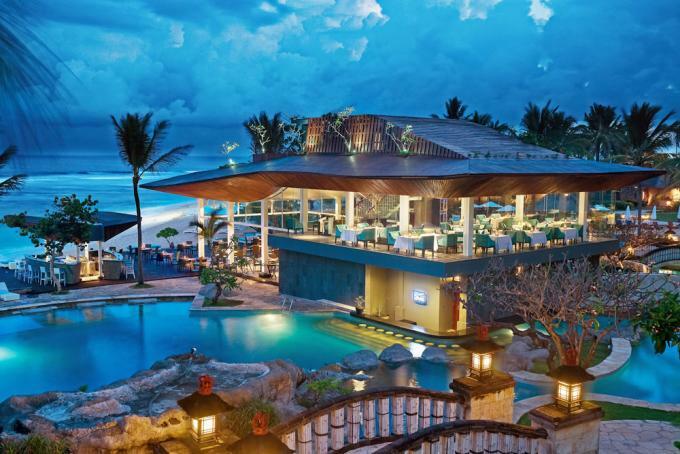 Located within the Hilton Bali Resort Hotel in the heart of Nusa Dua. 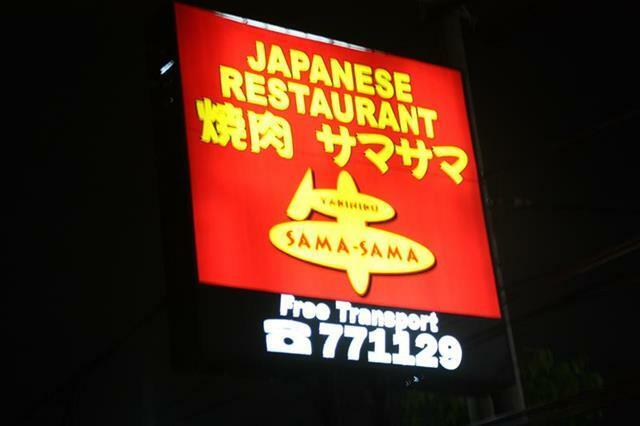 Serving a range of traditional Japanese food. 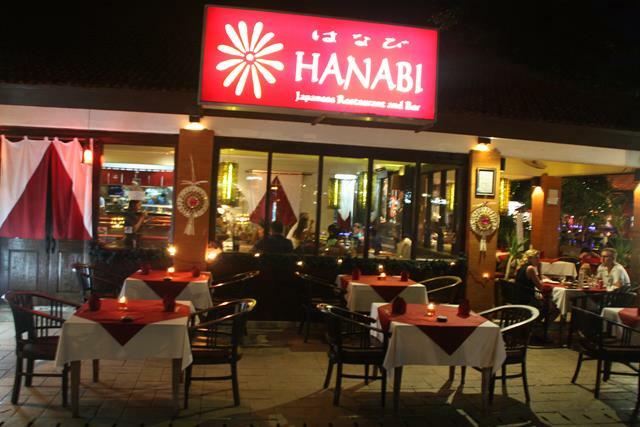 Located within the Bali Collection Shopping Mall in Nusa Dua, Hanabi has a great Japanese menu with loads of good Japanese food including sushi and sashimi. 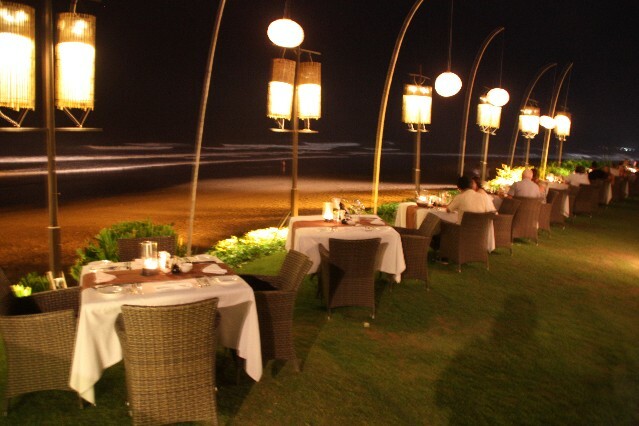 A beach front Italian restaurant located within the Grand Hyatt Hotel Nusa Dua Bali. Serving a range of Italian food including wood fired pizza. 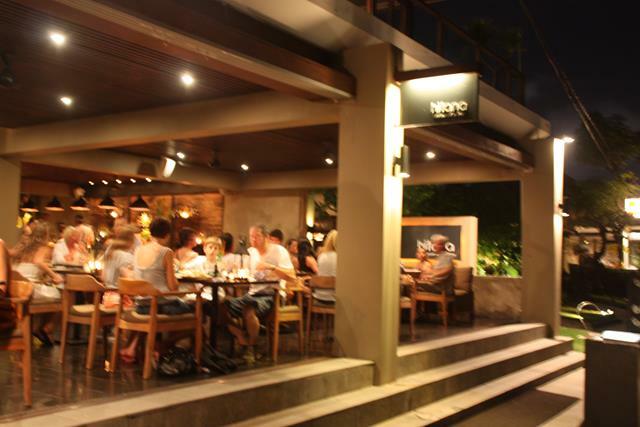 A traditional Italian Restaurant located within the Hilton Bali Resort Hotel in Nusa Dua serving a range of pizza, pasta, steak and seafood dishes. With indoor air-conditioned dining room and outdoor area. Open 7 nights a week for dinner from 6pm - 11pm. The largest Japanese restaurant in Nusa Dua, with a range of food including Sushi and sashimi, tempura or choose the teppanyaki tables with the chef cooking your food right in front of you. 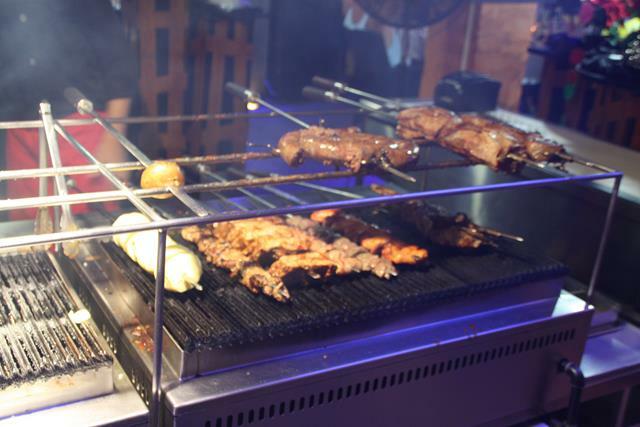 Serving a range of Tapas and Churrasco Brazilian BBQ - all your can eat of beef, pork, lamb and chicken. Live Latino band playing every night. 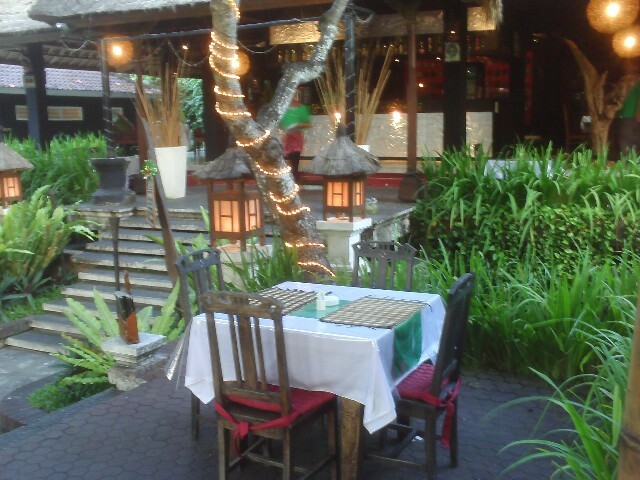 Raja's Balinese Restaurant is located within the Nusa Dua Beach Hotel Resort. 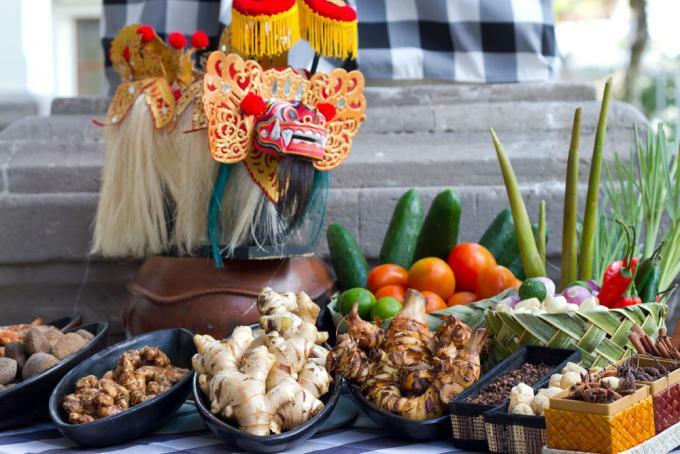 Serving a range of Balinese and Indonesian food. 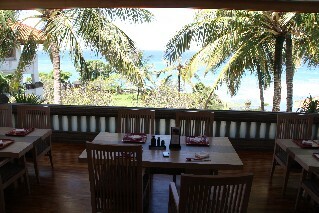 Located within the Hilton Bali Resort Hotel Nusa Dua, serving a range of International foods. Located within the Bali Collection Shopping Mall in Nusa Dua, Aglio Organic Restaurant is serves up a range of Italian and International food including wood fired pizza, pasta, burgers and sandwiches.